The older amoungst us Nuna boys can’t believe it when we constantly see ex Nuna-boy Dave Saker on TV and leading the coaching of the English bowling attack in it’s quest to retain the ashes in England this year. Dave is Nunawading born and bred and played all his junior cricket at Nuna, including playing in McIntosh Shield First XI at 15 years of age. Dave was a batsman as a young bloke and was the fourth Saker to represent Nuna with distinction. Dave’s Dad, Bob Saker, was a Nuna icon, First XI Premiership captain, Team of the Century member, Life Member and Junior mentor and we are privileged to have the main ground named after him. Bob’s eldest sons Trevor and Bill were also dominant First XI players, with Bill also in the Team of the Century, until they both moved away from Melbourne. The final piece of the Saker dynasty at Nuna is Bob and Marg’s daughter Ros and her husband Alan (Butch) Gale. Ros brought Alan to Nuna where he became a legend in his own right and First XI Premiership Player and Life Member. Dave had ambitions for higher honours and moved to Richmond then Northcote to play district cricket then played over 70 Sheffield Shield matches. A right-arm fast-medium bowler, Dave made his first class debut in the 1994–95 season. He spent six years with the Bushrangers before accepting an offer to join the Tasmanian side at the start of the 2000–01 season. As a veteran in a fairly young side he was named as their Player of the Year for 2001–02. Dave was also a handy batsman, making four first class half-centuries, even opening the batting at times for the Bushrangers in limited-overs games. He retired in 2002–03 with 247 wickets to his name at 30.10. In 2004 he became an assistant coach at Victoria under Greg Shipperd. On 8 April 2010, Dave was appointed as the fast bowling coach of the England cricket team and after his key role in the team winning the 2010–11 Ashes series, he was handed a new three year contract. 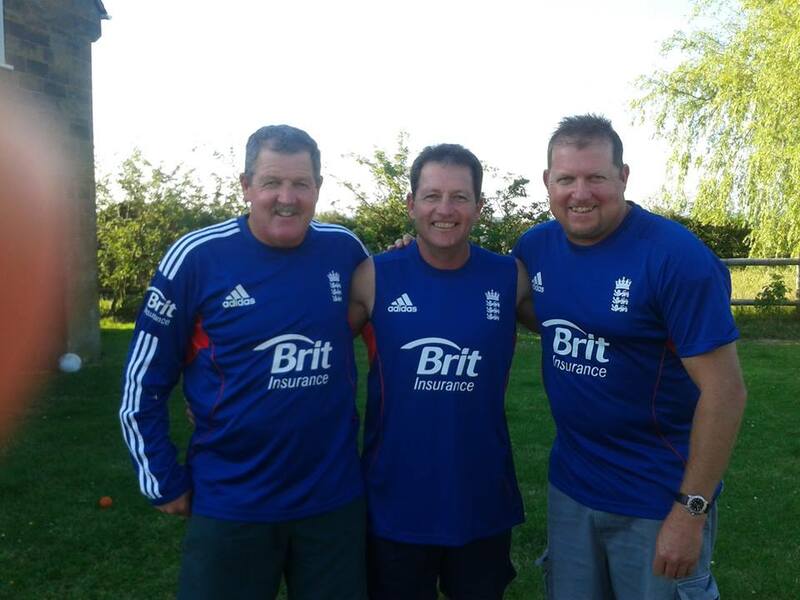 Dave’s brothers and sister are in England at present to support Dave and his family and to watch some great ashes cricket, surely an experience none of them will ever forget. It’s great to see a Nuna-boy having great cricket success. We wish Dave and his family all the best in England, hope Trev, Bill, Ros and Butch have a great holiday and hope to see them all at Nuna over the summer when the poms come to Australia for another Ashes campaign. Here is a great picture of (L to R) Trev, Bill and Dave all adorned in English colours. Trev reckons it was the only way he was going to get a ticket to the First Test !